(NaturalNews) In the aftermath of the explosive revelations that university scientists across America have been secretly colluding with Monsanto while publicly proclaiming they are "independent" observers, the scientific community is now on the path of committing credibility suicide. The Freedom of Information Act law invoked by the US Right to Know campaign to acquire the email records of publicly funded university professors is now being targeted by the Monsanto-funded science shills who decry public scrutiny as "harassment" of scientists. Across the quack science blogs, websites and corrupt science journal news sites, these Monsanto shills are now claiming that science should not be subject to public scrutiny. Total secrecy is required for scientific integrity, we're now hilariously told. 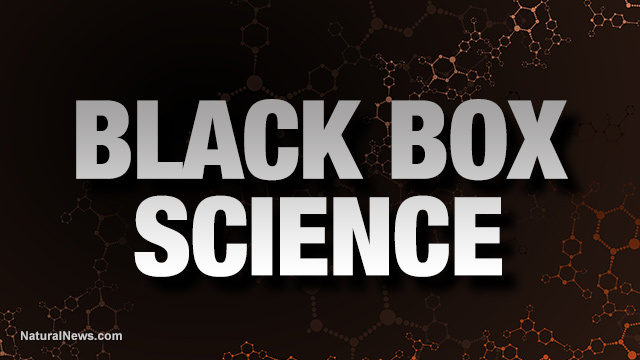 Science, in other words, must be conducted in a secret black box in order for it to be "real" science. Incredibly, this is now the publicly stated position of this entire class of university prostitutes and Monsanto shills: Science conducted with transparency should not be allowed at all! "Deeply troubled by calls by some in science to reign in FOIA. We need more, not less, disclosure. If industry ties innocent, why hide them?" tweeted Michael Eisen on this topic (Michael Eisen, PhD, professor of genetics, genomics and development at UC Berkeley). He went on to explain that "@UCLA encourages faculty to routinely delete emails and documents to avoid public records disclosures." "If you do not need to keep communications, routinely dispose of those records," urges a UCLA records request guide for science staff. The guide, written in a Clintonesque tone that calls for shredding evidence -- Clinton "server wipe" anyone? -- directs UCLA staff members to destroy sensitive emails before the public tries to get access to them under California's Public Records Act (CPRA). UCLA, like nearly all universities, gladly accepts huge donations from wealthy corporations that have successfully overrun academia with their corporate agendas. Teaching university faculty how to destroy emails and other evidence before such evidence is ever requested by the public is an essential strategy for maintaining the secrecy of the corporate-funded black box science taking place at these corrupted institutions. The very institutions funded by the taxpayers, in other words, do not believe those taxpayers have any right to know what sort of twisted "science" is taking place behind their closed doors. Scientific secrecy is now a pillar of the twisted institution of modern science which claims to be honest, open and accessible to anyone. In reality, much of it is a secret cabal of corporate-funded academic prostitutes who consider scrutiny to be a form of "harassment" or even "violence" against them. They despise transparency and viciously attack anyone who calls for it. They hate the public, they hate open discussion of science, and they absolutely hate anyone reading their secret emails where they admit being total sellouts to Monsanto. "I'm glad to sign on to whatever you like, or write whatever you like," Kevin Folta told Monsanto operatives in his once-secret emails. "It's a pleasure shilling with you," adds Camille D. Ryan, B.Comm., Ph.D., Independent Research Consultant and Public Speaker, Professional Affiliate, Department of Bioresource Policy, Business & Economics College of Agriculture University of Saskatchewan Canada. Using his fraudulent cover story, Kevin Folta even managed to scam The Atlantic, which printed a hit piece on the Food Babe by quoting Kevin Folta as their primary source. What The Atlantic didn't seem to realize is that Folta was parroting Monsanto propaganda spoon-fed to him by Monsanto's P.R. firm (which specializes in character assassination hit pieces against clean food activists). Maybe next, Bill Nye is going to change his name to "Bill Nye, the Black Box Science Guy" where nobody gets to see how science is actually conducted. Monsanto shills like Kevin Folta and Jon Entine want to conduct science the same way sausage is made: behind closed doors, using mysterious ingredients that are probably full of crap and definitely not something you want to swallow. What's so hilarious about all this is that, by insisting on absolute secrecy and black box operations, today's academic science excludes itself from the very definition of "science" in the first place. Real science is always and forever open to publicly scrutiny. Real science welcomes questions, challenges and public discourse. Real science wants to involve everyone at every level and isn't afraid to reveal its process, its findings, or its discussions. But FAKE science is afraid of the light. Fake science hates transparency and answers to no one. Fake science is conducted in darkness and secrecy, hiding its process and conclusions (and emails) from the public. Fake science is shouted at you by the arrogant high priests of science who, much like the high priests of some ancient religion, insist that they alone can interpret the cosmos (and you must obey their interpretations, see?). So what is the Monsanto science now being conducted at universities across America by academic prostitutes like Kevin Folta? Well, it's FAKE science, of course. It's black box science, conducted in secrecy by academic liars and intellectual whores who adamantly deny financial ties to the very corporations that are funding them. Monsanto science, it turns out, isn't science at all. It's a totalitarian regime that demands absolute secrecy, blind obedience and total protection from public scrutiny... all things that categorically disqualify it from being a legitimate science at all. If Kevin Folta is practicing "science," then the KKK teaches racial harmony and Kim Jong-un is the United Nations ambassador for liberty. What we are really watching unfold here, dare I say, is the suicide of science and the wholesale, deliberate abandonment of anything resembling credibility among these academic scientists. They have now decided that they don't need integrity, trust, transparency or legitimacy. Why should they? After all, they have totalitarianism, demands for obedience, censorship and the intimidation of academics who refuse to conform and obey. Modern academic science is now an exercise in totalitarian corporate malfeasance and douchebaggery. It makes a mockery of itself... like a cartoon character looking in the mirror and trying to imitate some other cartoon character. The loyalty and believability that "science" has long enjoyed when it actually welcomed public discourse and honest transparency is rapidly dwindling away. Every hour that the scientific community doesn't denounce people like Kevin Folta of the University of Florida's financial ties to biotech herbicide giants, it loses a little more credibility among the well informed. Even long-time defenders of science now find themselves with jaws dropped to the floor, reading that Monsanto shills are demanding total scientific secrecy while accusing transparency advocates of being "terrorists." Incredibly, many of America's university scientists exhibit striking intellectual parallels to religious extremists: They proclaim themselves to be exclusively correct on all matters, by God, and anyone who disagrees with them must be destroyed at all costs. Moreover, they don't have to explain anything to you, nor reveal their decision-making processes. They believe that they are divinely granted the exclusive authority of "correctness," and by faithfully worshipping their belief in their twisted corporate science, they actually expose themselves as scientific fundamentalists... not real scientists at all. That's the real term we need to recognize here. What you are witnessing today across America's universities, and the whoring out of academia, and the aggressive demands for total secrecy and blind obedience is nothing more than scientific fundamentalism. It's a RELIGION, not a science, and even though it borrows words and concepts from the realm of science, it behaves like the kind of fundamentalist religion you might see practiced in Turkey. This religion demands unquestioning obedience and, even more importantly, it answers to no one. The religion of scientism cannot be questioned, audited or subjected to public scrutiny. It is carried out in secret, using secret funding sources, secret indoctrination sessions, secret emails and secret agendas. Any who refuse to surrender to scientific fundamentalism are branded "anti-science" or, as Kevin Folta likes to say, "terrorists." This scientific fundamentalism even demands that consumers be kept in the dark about what they're eating. The honest labeling of GMOs for food products is viciously opposed by these science fundamentalists on the grounds that consumers should not know about all this incredible science that went into the food they're eating. Yep, the genetic engineers are making all our food more nutritious and abundant, we're told, but all this incredibly "good news" should be hidden from the public for some reason, because the public shouldn't have the right to know. That's the new "science" of Monsanto and its academic whores like Kevin Folta: absolute secrecy, mandatory consumer ignorance and a brand of intellectual protectionism that smacks of the Third Reich's IG Farben saga of "scientific" chemical experiments on Jewish prisoners of war. From scientific secrecy comes scientific totalitarianism. And from scientific totalitarianism come crimes against humanity such as the U.S. govt.-funded NIH medical experiments on Guatemalan prisoners or Tuskegee experiments on blacks. Angry, arrogant science whores like Kevin Folta would have felt right at home being part of these heinous "scientific" crimes against humanity, I'd imagine. The University of Florida should be proud to have such a person representing them in the public arena of secretive sellout science. My advice in all this? When the instigators of so-called science begin to demand absolute secrecy while aggressively attacking transparency and open discussion, it's time to shut down their bogus science and redirect that public money into something more honest.